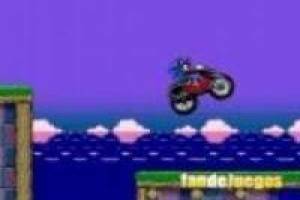 Sonic is tired of living all his adventures running and he has bought a motorcycle with which to complete all the levels that make up this game. He is not used to walking in this type of vehicle so we will have to help him to handle the motorcycle without falling. Collect the largest number of rings you' ll find along the level to add points to your score. If the motorcycle gets out of control and you collide you will have lost and you will have to start the game again. Go to the finish line safe and sound to finish the level and move on to the next, until you complete each and every one of them. 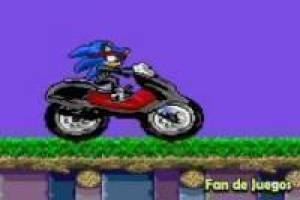 Get ready to drive the new Sonic motorcycle in this fun game. 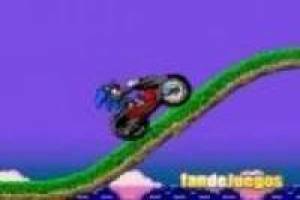 Enjoy the game Sonic ninja motorcycle, it's free, it's one of our sonic games we've selected.